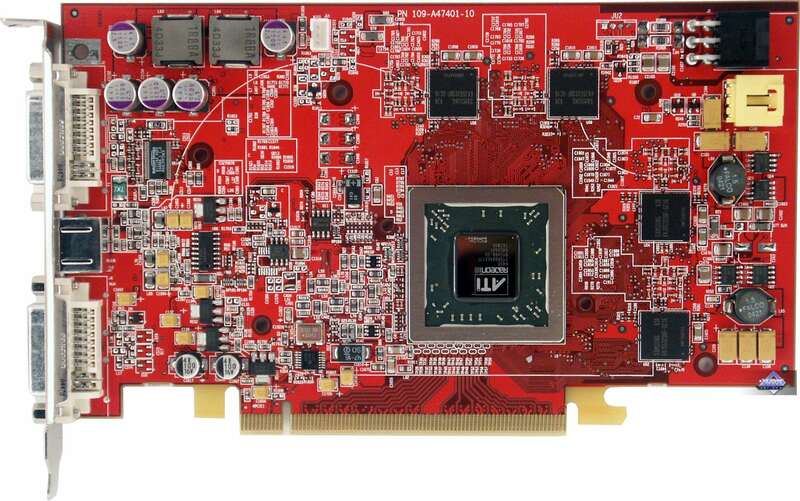 We proceed with our analysis of new video cards with PCI-Express interface. Yes, this sector is not large so far and our readers may take fair offense that so much attention is paid to such cards, while the very large AGP segment of the market is left out of focus. 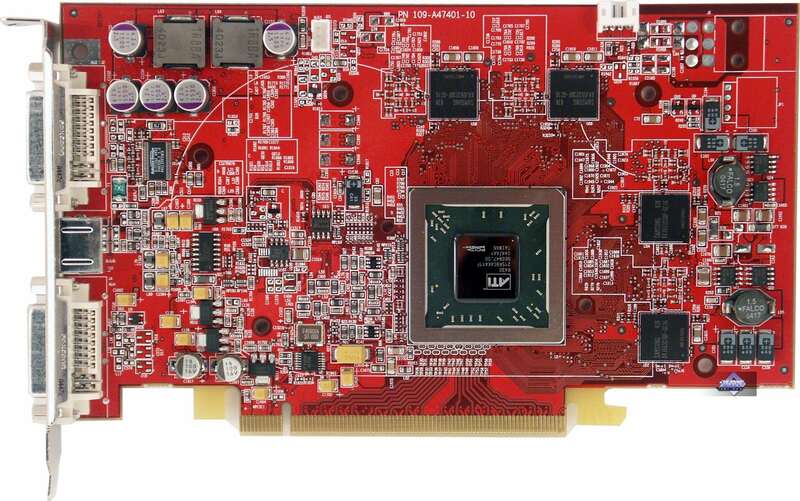 The fact is that there are almost no new AGP cards, except for the GeForce 6xxx series, which we analyze very closely. 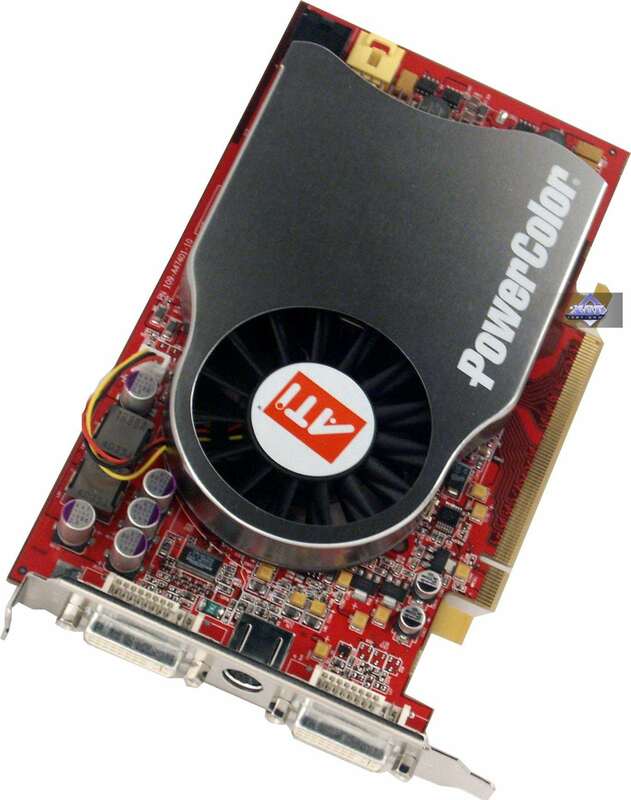 So it's not the test labs that offend readers and users, it's the manufacturers of video processors and cards who are straining to grow the demand for PCI-E.
Today our test lab will examine three products from TUL (the former C.P.Technology), which is more known as PowerColor. As you may have already guessed, all the three are with PCI-E interface: the RADEON series flagship: the X850XT Platinum Edition (PE), the X800 XL (an average card in the High End segment) and the X800 (a junior model in the High End segment). 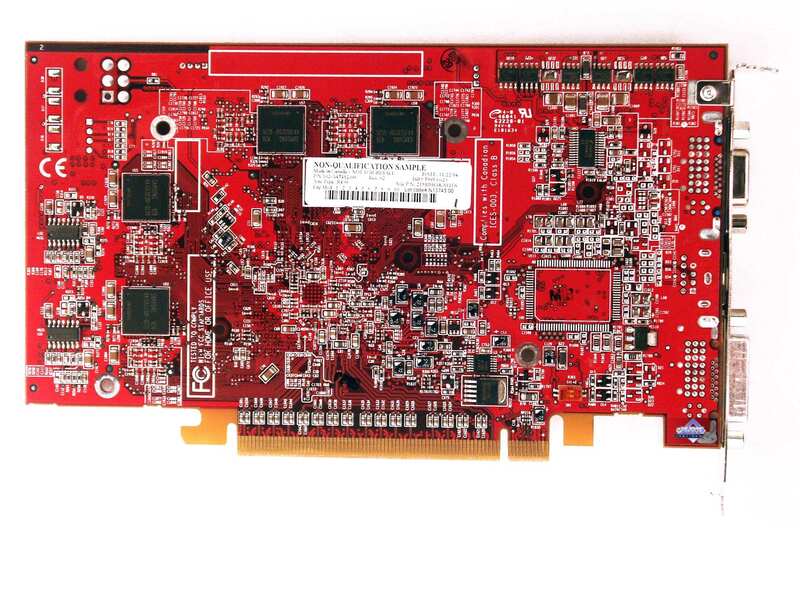 The X800 was actually planned as a Middle End video card (upper bound) at about 200-220 USD. 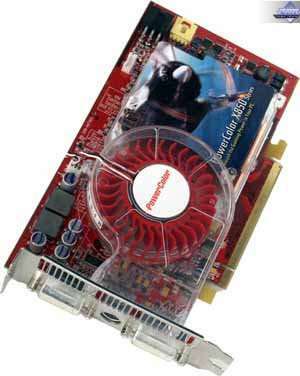 However, the market offers video cards with 256 MB of very expensive GDDR3 so far, thus 200 USD is out of the question now. Now these cards are sold at 300-320 USD. 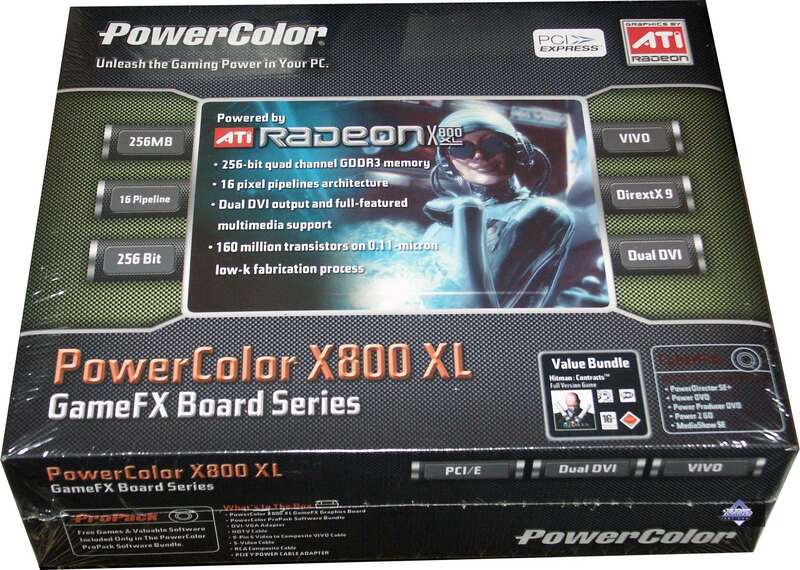 So we shall compare the X800 with the GeForce 6600GT PCI-E as well as with the GeForce 6800 PCI-E, because the actual cost of the PowerColor product (as well as of the other X800) varies within the price range of the above mentioned competitors from NVIDIA. What concerns the X800 XL, its price is also too high so far, and thus it will have to be compared with the GeForce 6800GT (the latter is more expensive anyway) and the GeForce 6800 will have to be taken for the lower price bound. As you can see, the life obviously thwarts the marketing ambitions. Sometimes the real prices put the competitors in other weight categories, different from the intended by ATI and NVIDIA employees. We cannot fail to notice these realia of life and that's why we'll compare the cards according to their real market prices. Yes, I understand that the prices may change in time and this review may become obsolete. But we always publish a lot of materials and are capable of updating this picture providing you with fresh data. 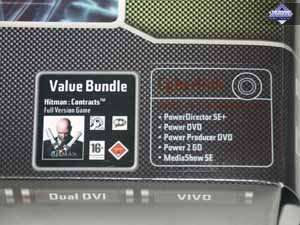 So, we have three video cards from TUL. 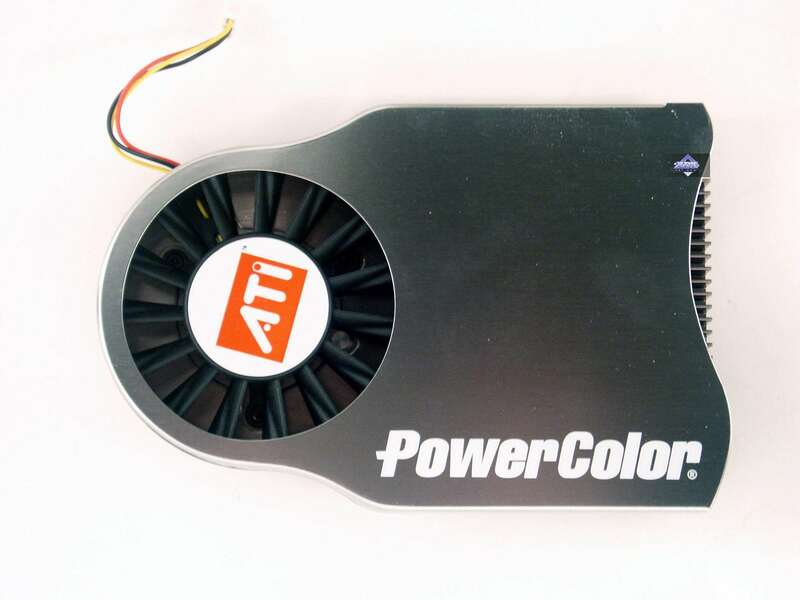 As you may know, before the manufacturer entered financial holding Foxconn, the low quality of PowerColor products was notorious. After reorganization (marked by the new company name – TUL) there were taken serious steps to introduce proper order and the quality of video cards jumped up, having raised the popularity bar of the brand in general (the new Foxconn board of directors set a strict task to raise the level to the leading world brands, otherwise the company would be just disbanded). 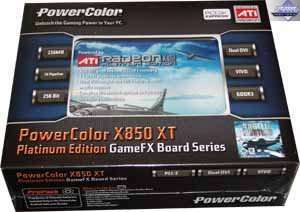 Today the quality level of PowerColor products is on a par with such brands as Sapphire, ASUS, Gigabyte, etc. So it's very interesting to review these new cards. 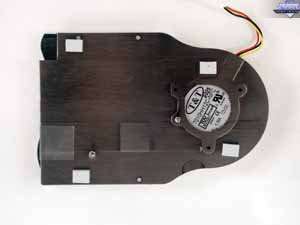 Dimensions: 190x100x36mm (the last value is the maximum thickness of a video card in its cooler section). First of all it should be noted that the frequencies in some cards are reduced by 10 MHz relative to the nominal values. 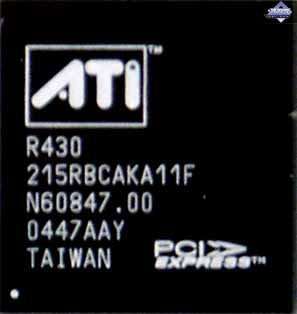 TUL is not to blame for it, ATI ordered to lower frequencies by 10 MHz to be on the safe side and to keep the power consumption of the cards below 75 W. But you can see that TUL designers were double precautious with the X800 XL: the nominal frequency is reduced and the card is equipped with an external power connector (pay special attention to this feature). ALL X800 cards are equipped with 1.6ns memory. Later on it will be clear that it was useless, it just raised card prices giving little in return. 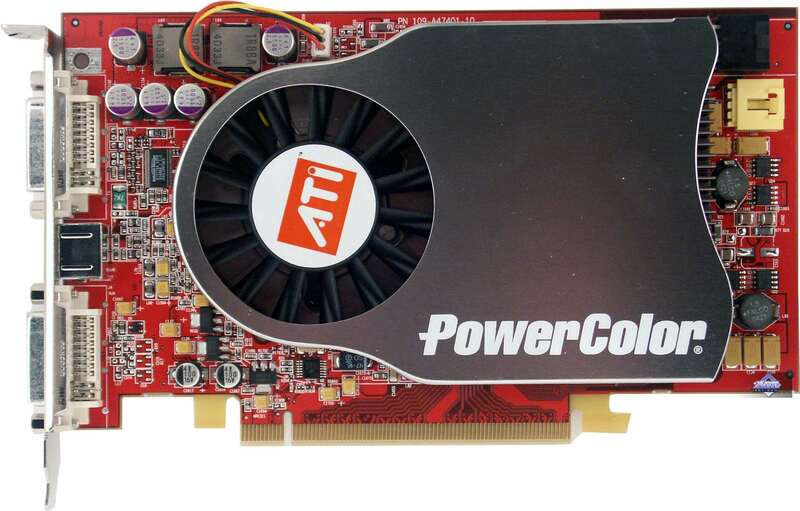 What concerns the X850 XT PE, it's just a reference card manufactured on ATI's order, where PowerColor just attaches its stickers. 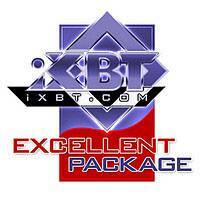 That's why any peculiarities are out of the question, we have reviewed such cards many times. 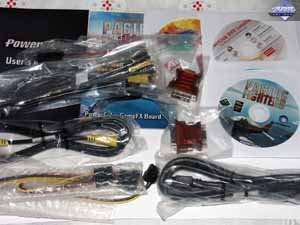 Besides, all the products have two DVI jacks, regular monitors with d-Sub can be connected via the corresponding adapters that come shipped with the bundle. 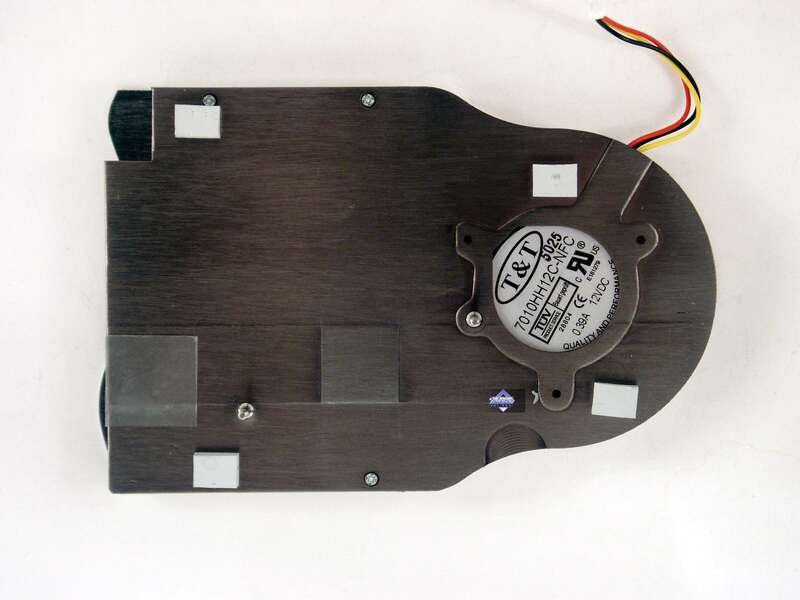 It's a closed-type heatsink with an off-center fan, which drives the air along the heatsink over GPU. The air is sucked in from inside the PC case and is blown out back to it, but it does not diminish the efficiency much, because the heating is not that intense (0.11-micron process technology, and the frequencies are not too high). That's all what concerns similarities. 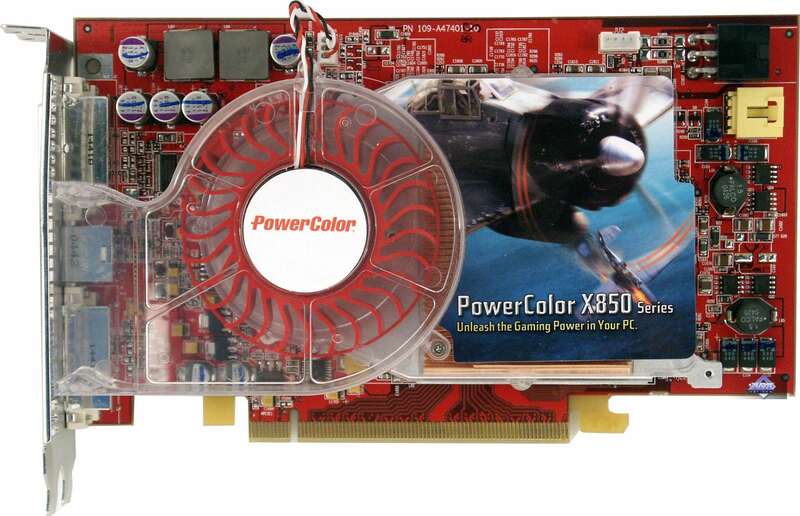 PowerColor RADEON X800 XL 256MB uses a fan with a tachometer. So its rotational speed can vary from 2500 to 5000 rpm depending on the temperature. 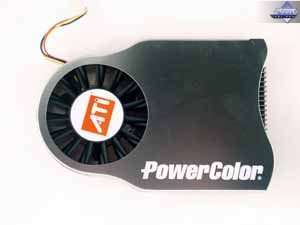 PowerColor RADEON X800 256MB lacks this feature, its fan is set to strict 2500 rpm. The cards produce no noise at startup. 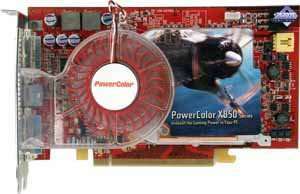 You can watch a video clip and evaluate the startup noise of the computer at this link (1.1MB, AVI DivX 5.1) for PowerColor RADEON X800 XL 256MB. 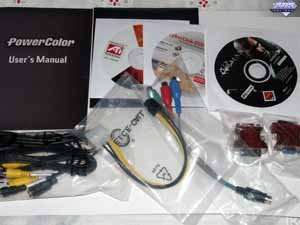 This link (900KB, AVI DivX 5.1) is for PowerColor RADEON X800 256MB. You can also compare it with the background noise without a video card (740KB, AVI DivX 5.1). You can watch a video clip and evaluate the noise at this link (1.7MB, AVI DivX 5.1). Have a look at the X800 and X800 XL. On the photos the X800 is on the left and the X800 XL is on the right. 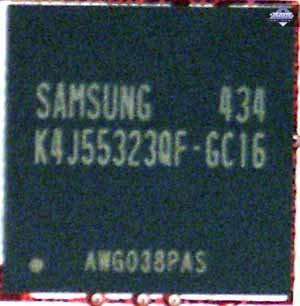 The left chip contains 12 active pixel pipelines and the right one – 16. Can you see the visual differences between the chips? I don't see any either. Except for a couple of letters in a designation. All those tracks and burnt dots, which we used to determine the number of pipelines, are gone. Unfortunately, I had no time again to experiment with BIOS (perhaps it can just specify the number of active pipelines). 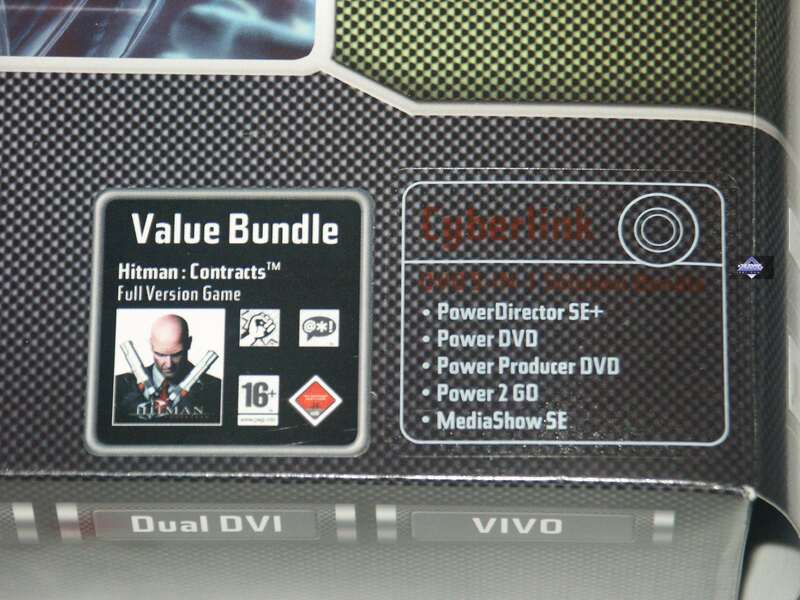 The bundles are identical, except for an external power cable that comes shipped only with the X800 XL. The other items: user's guide, CD with drivers, a set of software on the right photo (rich bundle from Cyberlink and the Hitman game), DVI-to-d-Sub, HDTV, VIVO adapters. The same bundle, plus Pacific Fighters. A stylish cover with a box of white thick cardboard inside. The entire bundle is arranged into sections, so nothing is slack inside the package. This helps eliminate transportational damages (except for external damages of the package itself, of course :) . The same picture, just the inscriptions are different. Everything is actually the same but the package style is a tad different: it has a window that displays an advertisement screenshot from Pacific Fighters put inside the box. In my opinion it's a silly idea that just makes the package more expensive. It would have been much better to demonstrate the video card itself through that window. The bundle is arranged in a plastic box instead of a cardboard one. Now what concerns the reason why the 1.6ns memory turned out useless, though this feature is proudly advertised on the boxes. That's because these cards are not much overclocked, despite their memory! Look, the X800 XL managed to operate well only at 435/1040 MHz. 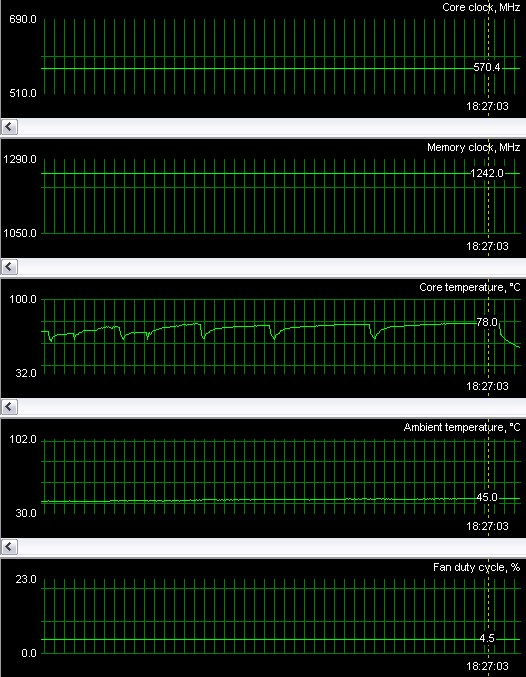 OK, the core is overclocked well, but the 1.6ns memory with its 1250 MHz potential managed to operate only at 1040 MHz. Higher frequencies lead to artifacts. The memory voltage is obviously reduced in BIOS. That was initially done for 2.0ns memory. But still, TUL designers could have raised the voltage not to waste the potential of such memory. 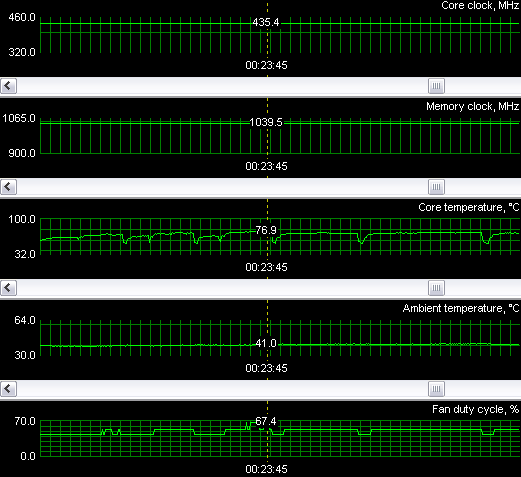 Below you can see the temperature conditions at overclocking (we used RivaTuner, developed by A.Nikolaychuk AKA Unwinder). As you can see, the temperature rose very high and the cooler actively responded to that. The X800-based product didn't manage to exceed 1140 MHz with its 1.6ns memory, though a sticker on the box promised that the memory could operate at 1.2 GHz. It's again due to the reduced voltage. And again TUL designers even didn't properly test overclocking, they just put the proud sticker, which is obviously wrong. 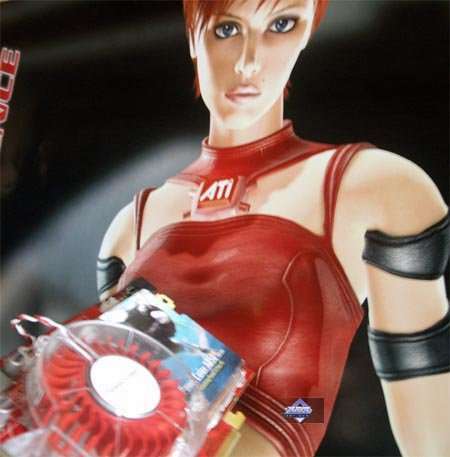 The question is why use this expensive memory and raise the video card's cost? You can see that everything is within the normal range! The Chronicles Of Riddick: Escape From Butcher Bay (Starbreeze/Vivendi) – OpenGL, multitexturing, test settings – maximum texture quality, Shader 2.0, demo 44 and demo ducche. In general the X800 is up to the mark; it outscored its competitors, even geForce 6800. The X800 XL demonstrates even better results. 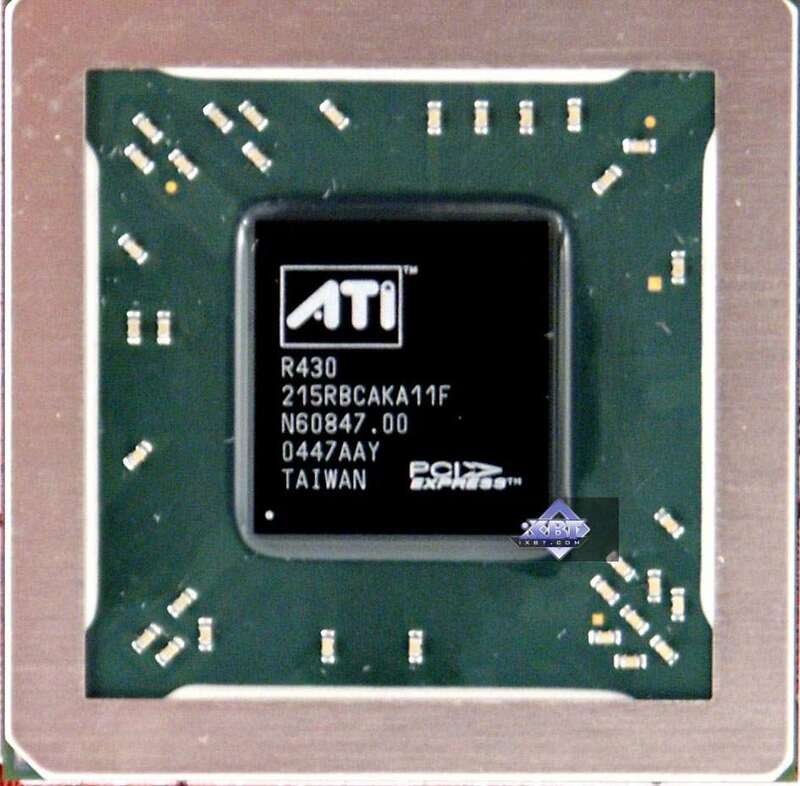 In general the X850XT PE is the leader. All the three cards demonstrate excellent results, only the X800 XL was defeated by the 6800GT in modes without AA+AF, but no one is going to play such games on such powerful video cards without these important functions. The same picture. All the three TUL products are the leaders. I guess that comments are not necessary. The same situation. In this case the X800 loses its unique leadership, GeForce 6800 is obviously faster in the AA+AF mode. 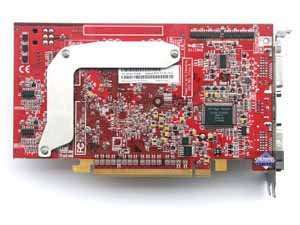 But I repeat that we deal with a 256 MB GDDR3 video card, which is very difficult to position, because there were initially no plans for such devices. So, everything will be up to the price. The X800 XL is slightly outscored by the GeForce 6800GT in AA+AF modes, but the latter is obviously more expensive. 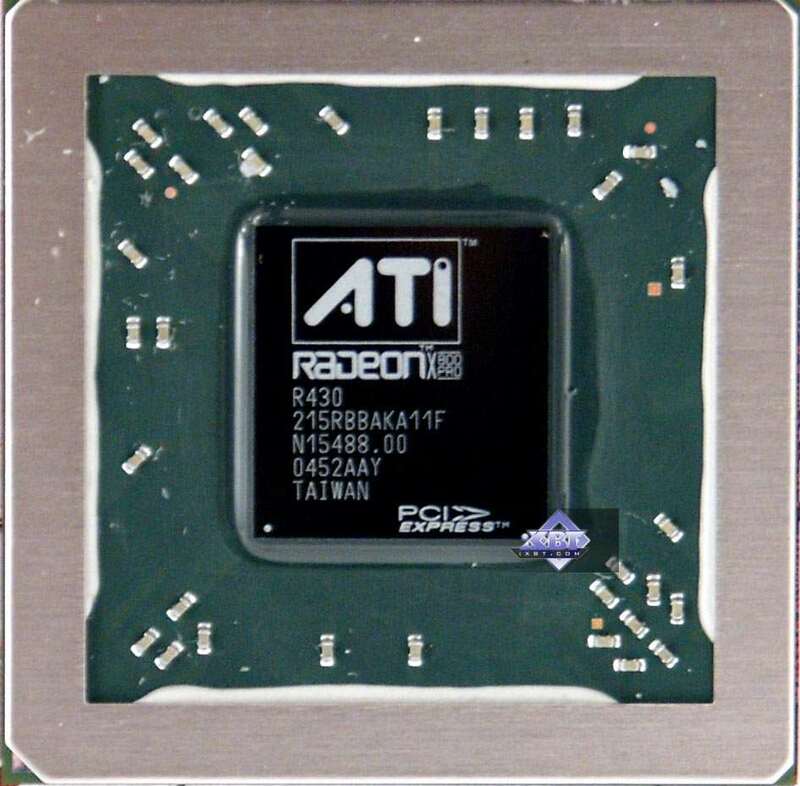 What concerns the X850XT PE, in general they are on a par in AA+AF modes. This test has put all TUL products on top again. The same picture! 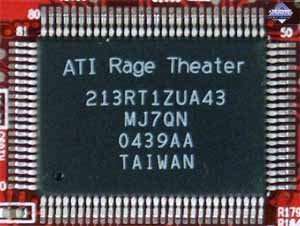 The advantage percentage of products based on ATI chips has grown large. This game, where NVIDIA based products are at advantage (we have already mentioned it), expectedly demonstrated an almost complete defeat of the entire "trinity" by the american company. Well, DOOM III is still a real toughie for the Canadian ATI, the lag is still considerable though it has decreased for the last months. This test demonstrates almost pure parameters of shader unit operation. Note that the TUL products retain their general leadership in modes without AA+AF, which corroborates the previous test results. But AA+AF activation resulted in performance drop in products based on ATI chips, which is not the case with their competitors. Of course it's very difficult to check whether given functions really operate in 3DMark, but we tried to take screenshots, analyzed them, and decided that AA+AF indeed operated as they should. I had introduced this test right before the article was published, so let's just do with the 1024x768 resolution for the lack of time. I'll note right away that the SLI mode in the 6600/6800 cards does not work in this game, so the results are similar to single cards. The X800 has obviously lost this battle. The X800 XL looks a leader only compared to the GeForce 6800, but the X800 XL is more expensive so far. The X850 XT PE has lost the battle. You can clearly see that the entire series has come to grief. Indeed, products based on NVIDIA chips are faster in many cases in this game. 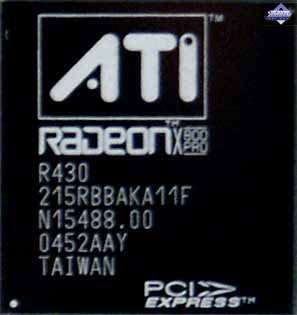 That's a black mark for ATI, because the game is popular and it uses all modern 3D innovations. The break away is not too large though, everything can be improved by fixed drivers as we have already seen many times. 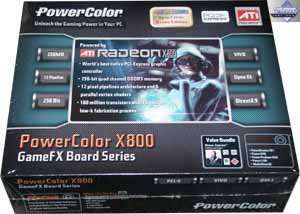 PowerColor RADEON X800 XL 256MB is a good product for its price range. I hope its prices will soon settle down to the level promised in the announcement and the popularity of such cards will plummet in this case. What concerns this sample, its operating stability is up to the mark, its quality is very high, 2D picture at 1600x1200@85Hz is sharp. 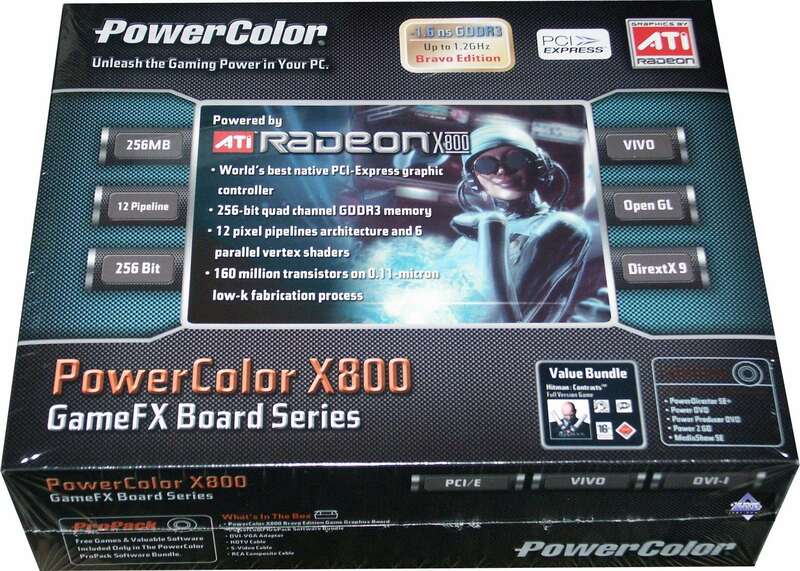 PowerColor RADEON X800 256MB is a strange product. It's a cross between what was promised in December, when the X800 was expected at 200 USD, and the desire of manufacturers not to waste efforts to launch special cards (they actually took the X800 XL, cut down its pipelines in the chip, and here you go) – that's what we actually witness now. Why equip such cards with expensive memory? Not clear. As a result the video card fares well in comparison with the 6600GT, but its price is 1.5 times as high. 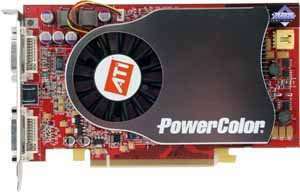 What about comparing it with the GeForce 6800? Yes, the X800 256MB has a head start, the question is how the prices will change. – Much depends on them. Like the previous product, this sample demonstrated excellent quality in all respects, its operating stability is up to the mark. PowerColor RADEON X850 XT PE 256MB is an image product, the most expensive card from ATI so far. 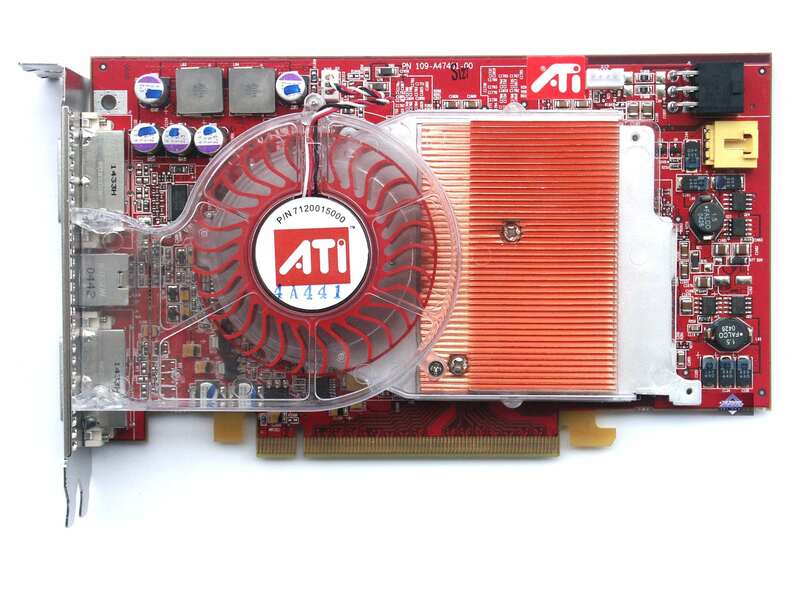 That's right, from ATI – the cards on sale are manufactured on ATI's orders. TUL just provides its stickers and packages with accessories. 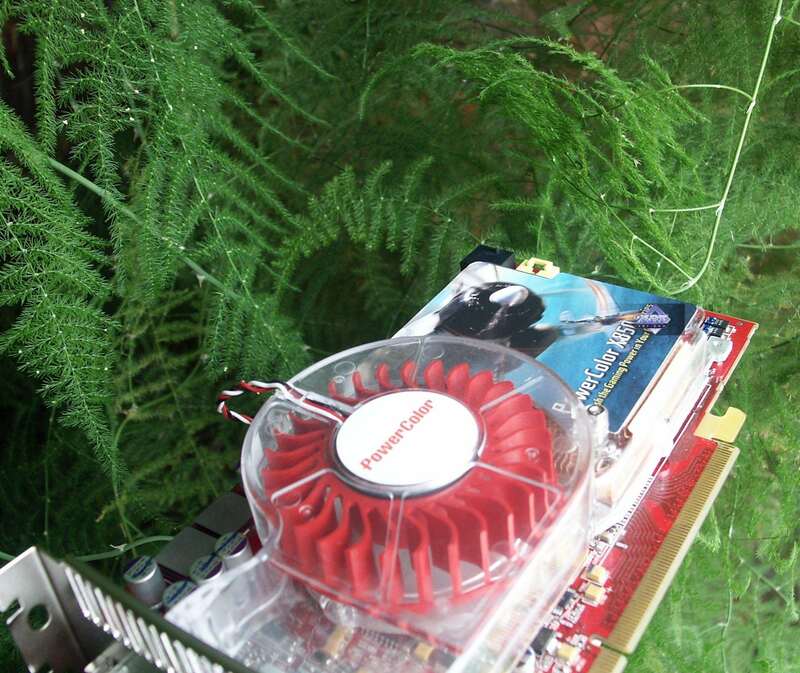 The latest hit in the gaming world, Chronicles of Riddick, demonstrated that the X850 XT PE was not always a performance leader. The GeForce 6800 Ultra is faster, though it was released earlier. DOOM III numbers have grown :). 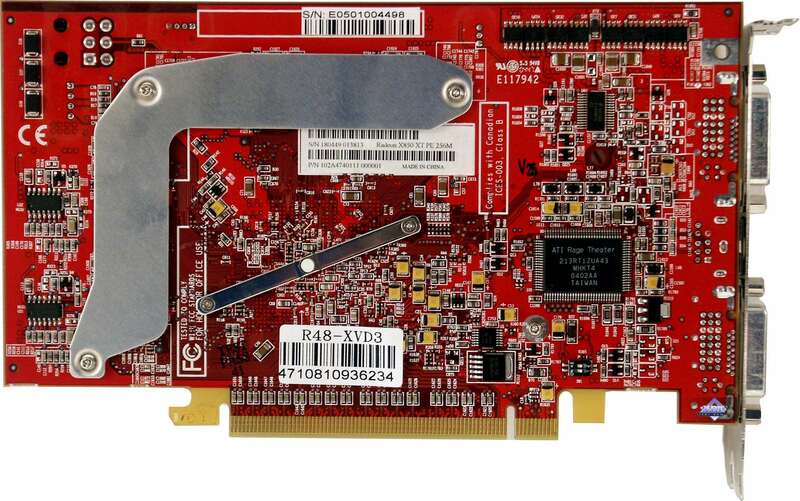 On the whole, the X850XT PE is indeed a powerful and very fast video card. 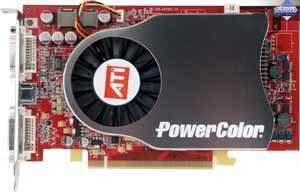 You shouldn't forget about power consumption, which is lower in such cards than in their competitors. What concerns this sample, its operating stability is up to the mark, 2D quality at 1600x1200@85Hz is excellent. 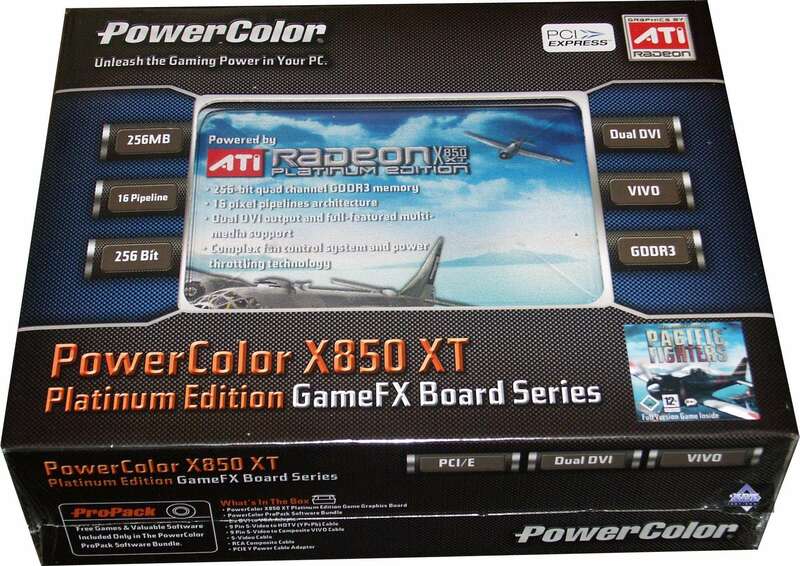 According to the test results, PowerColor RADEON X850 XT PE 256MB gets the Excellent Package award (February).